We provide WeChat for our users to use and enjoy. By using WeChat, you agree to this Acceptable Use Policy, which sets out the rules of good behaviour applicable to your use of WeChat. Should you have any questions about this WeChat Acceptable Use Policy, please contact us at policy@wechat.com. Submit a report via "Feedback" in the WeChat Help Center regarding a person's compliance or non-compliance with this Policy. Any terms used in this WeChat Acceptable Use Policy will have the same meaning as the equivalent defined terms in our WeChat Terms of Service, unless the context requires otherwise. use WeChat in any manner or for any purpose which breaches the WeChat Terms of Service (including this WeChat Acceptable Use Policy). develop any plug-ins, external components, compatibles or interconnection elements or other technology that inter-operate with WeChat Software, except where we expressly permit you to do so via WeChat Software (and where this is the case, your use of such WeChat Software may be subject to additional terms and conditions as notified by us to you). 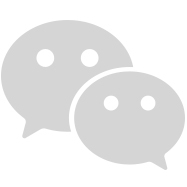 Please note that there may be technological measures in WeChat Software that are designed to prevent unlicensed or unauthorised use of WeChat Software or use of WeChat Software in breach of this WeChat Acceptable Use Policy. You agree that we may use these measures and that you will not seek to disable or circumvent them in any way. we have previously terminated your account and advised you that you may no longer use WeChat or any of our other services.